Climate change presents us all with a lot of uncertainties. From tropical cyclones to floods – Postdoctoral Fellow Dr Andrew Magee is studying the patterns and historical data of these weather events to help better understand current and future extremes and improve forecast accuracy. Tropical cyclones are exceptionally erratic, in terms of where they form and how many form per season. “My work looks to better understand what drives the variability of extreme weather events, mainly tropical cyclones from when and where to how many form per season in the Australian and South Pacific regions. “I investigate how changes in the ocean and atmosphere influence the formation and movement of these cyclones,” said Andrew. Current approaches to understanding tropical cyclones are limited by short records, sometimes, only giving us around 45 years of data (or less) to work with. This short time period means it’s difficult to infer historical variability and establish how tropical cyclones might change in the future – something Andrew is hoping to rectify. “My work has investigated the potential of using longer records to help improve our understanding of historical and future tropical cyclone events. With an interest in the role that weather-related traditional knowledge can play in helping inform tropical cyclone prediction, Andrew travelled to the South Pacific region to observe more traditional means of weather forecasting. The impact of Andrew’s work is wide-reaching – from Australia to the Pacific island nations and territories and around the world. “My work has helped researchers and end-users better understand what drives current tropical cyclone risk and how considering a range of climate influences (instead of just one), is the most holistic way to evaluate these potential risks. “This work means that people and communities can be better prepared for current and future weather events. “Specific to the South Pacific region, we know these island nations are inherently vulnerable to the effects of tropical cyclones and other natural disasters. As well as being involved in cutting-edge scientific research, Andrew is a passionate educator. Recently, Andrew was involved in a project to develop short-term training courses for meteorological and environmental organisations based in the Pacific. Andrew’s work also extends to the risk that floods place on Australia and how future climate change can impact the intensity of this type of weather event. “Recently, I’ve started working on an ARC project ‘Flooding in Australia – are we properly prepared for how bad it can get?’ This exciting research uses new historical data to investigate how floods have varied over the past 2,000 years. “I feel proud that my work helps improves our understanding of what cyclones looked like in the past and how our complex climate system influences tropical cyclone activity. This information will work behind the scenes to help improve the reliability and methodology of deriving more accurate forecasting. 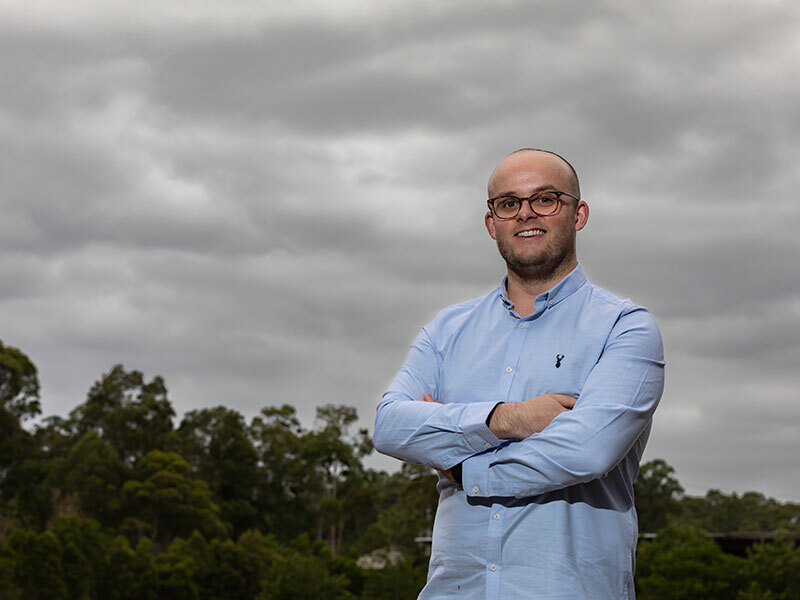 From tropical cyclones to floods – Postdoctoral Fellow Dr Andrew Magee is studying the patterns and historical data of these weather events to help better understand current and future extremes and improve forecast accuracy. Dr Andrew Magee is a Postdoctoral Fellow at the Centre for Water, Climate and Land (CWCL). Andrew is engaged in cutting-edge climate research with a particular focus on investigating the role and impact of climate variability and change on extreme weather events, mainly tropical cyclone activity in the Australian and southwest Pacific regions. By understanding the dynamics of Indo-Pacific climate variability, Andrew’s research continues to better our understanding of tropical cyclone activity. 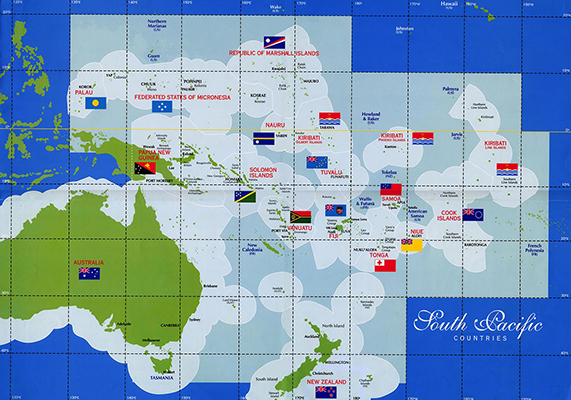 Current work aims to improve the skill of seasonal forecasting in the southwest Pacific region. Andrew also works closely with the Australian insurance industry to model how future changes in natural peril risk might impact consumers and the general insurance landscape. 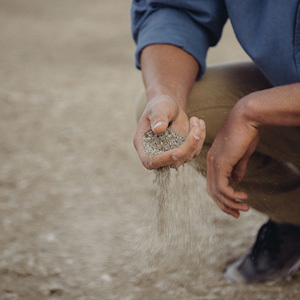 This involves developing parametric insurance products for agribusiness, considering past, current and future climate risk to protect farmers from potential climate extremes. Andrew also has experience in address-level risk modelling and natural peril modelling (tropical cyclones, floods etc…), which evaluates a wide range of climate change scenarios to understand the potential impact on people, places, business and infrastructure. Tropical cyclones, theoretical, applied and statistical climatology, climate variability and climate change analysis. Climate modelling and climate attribution analysis. Natural peril and hazard risk modelling (e.g. tropical cyclones, storms, floods). Extreme event analysis and development of parametric insurance products to consider past, present and future risk. ‘Big data’ analysis including meteorological, ocean and climate reanalysis datasets. Seasonal climate forecasting, including tropical cyclone forecasts and hindcasts. Geospatial analysis: Geographical Information Systems (GIS) and remote sensing (RS). © 2016 Author(s). Recent efforts to understand tropical cyclone (TC) activity in the southwest Pacific (SWP) have led to the development of numerous TC databases. The methods used to compile each database vary and are based on data from different meteorological centres, standalone TC databases and archived synoptic charts. Therefore the aims of this study are to (i) provide a spatiooral comparison of three TC best-track (BT) databases and explore any differences between them (and any associated implications) and (ii) investigate whether there are any spatial, temporal or statistical differences between pre-satellite (1945-1969), postsatellite (1970-2011) and post-geostationary satellite (1982-2011) era TC data given the changing observational technologies with time. To achieve this, we compare three besttrack TC databases for the SWP region (0-35° S, 135° E-120° W) from 1945 to 2011: the Joint TyphoonWarning Center (JTWC), the International Best Track Archive for Climate Stewardship (IBTrACS) and the Southwest Pacific Enhanced Archive of Tropical Cyclones (SPEArTC). The results of this study suggest that SPEArTC is the most complete repository of TCs for the SWP region. In particular, we show that the SPEArTC database includes a number of additional TCs, not included in either the JTWC or IBTrACS database. These SPEArTC events do occur under environmental conditions conducive to tropical cyclogenesis (TC genesis), including anomalously negative 700 hPa vorticity (VORT), anomalously negative vertical shear of zonal winds (VSZW), anomalously negative 700 hPa geopotential height (GPH), cyclonic (absolute) 700 hPa winds and low values of absolute vertical wind shear (EVWS). Further, while changes in observational technologies from 1945 have undoubtedly improved our ability to detect and monitor TCs, we show that the number of TCs detected prior to the satellite era (1945-1969) are not statistically different to those in the postsatellite era (post-1970). Although data from pre-satellite and pre-geostationary satellite periods are currently inadequate for investigating TC intensity, this study suggests that SPEArTC data (from 1945) may be used to investigate longterm variability of TC counts and TC genesis locations. © 2016 Author(s). The destruction caused by tropical cyclone (TC) Pam in March 2015 is considered one of the worst natural disasters in the history of Vanuatu. It has highlighted the need for a better understanding of TC impacts and adaptation in the Southwest Pacific (SWP) region. Therefore, the key aims of this study are to (i) understand local perceptions of TC activity, (ii) investigate impacts of TC activity and (iii) uncover adaptation strategies used to offset the impacts of TCs. To address these aims, a survey (with 130 participants from urban areas) was conducted across three SWP small island states (SISs): Fiji, Vanuatu and Tonga (FVT). It was found that respondents generally had a high level of risk perception and awareness of TCs and the associated physical impacts, but lacked an understanding of the underlying weather conditions. Responses highlighted that current methods of adaptation generally occur at the local level, immediately prior to a TC event (preparation of property, gathering of food, finding a safe place to shelter). However higher level adaptation measures (such as the modification to building structures) may reduce vulnerability further. Finally, we discuss the potential of utilising weather-related traditional knowledge and non-traditional knowledge of empirical and climate-model-based weather forecasts to improve TC outlooks, which would ultimately reduce vulnerability and increase adaptive capacity. Importantly, lessons learned from this study may result in the modification and/or development of existing adaptation strategies. Funding body: Secretariat of the Pacific Regional Environment Programme (SPREP). Secretariat of the Pacific Regional Environment Programme (SPREP).